He started with a $90 super satellite seat. He turned that into a $250 qualifier seat. 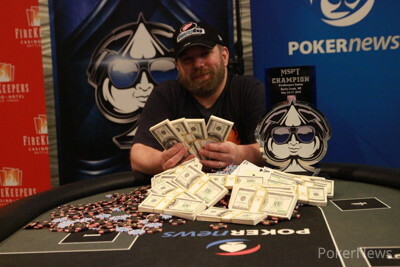 And now, Mark Rubenstein has $142,637 after winning Mid-States Poker Tour FireKeepers Casino, topping a Michigan record 614-player field. 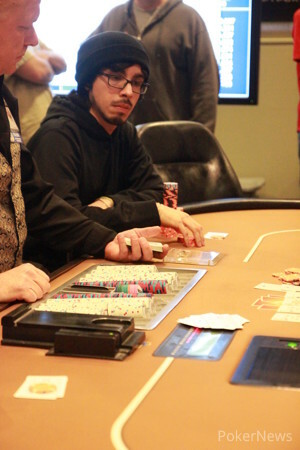 He prevailed over a tough final table that included MSPT sponsored pros Nick Pupillo and Jason Zarlenga. Rubenstein began the day in eighth place of 119 Day 2 runners. Sixty-three would be paid, and the money bubble hit fairly quickly, as is the norm under the Allen Kessler-approved structure in the MSPT. 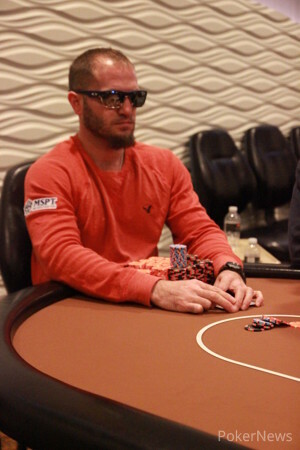 Scott Hammett, Nick Jivkov, Adam Friedman, David Gutfreund, and Brett Reichard were among the players walking away empty-handed. Once the money was reached, Mike Ross (59th), Zal Irani (57th), defending champ Ryan Dykhouse (51st), Pat Steele (48th), Adam Lamphere (39th), Jose Serratos (37th), Tom Midena (20th), Ken Baime (16th), Dan Bekavac (15th), and Mark Johnson (13th) were among the notables falling but earning compensation. Rubenstein made a big move with 12 players left, clashing with Pupillo in a three-bet pot when Rubenstein opened for 125,000 in middle position at Level 26 (20,000/40,000/5,000). Pupillo three-bet to 320,000 in the small blind, and Rubenstein called. The flop brought a monotone , and Pupillo fired 250,000. His fingers hadn't even left the chips before Rubenstein said he was all in, and Pupillo folded. That pot gave Rubenstein about 20 percent of the chips in play. The rich only got richer in the last hour before the final table, with Rubenstein toting a stack of over 3.8 million, while his closest competitor, Sean Munjal, had just 1.59 million with blinds at 25,000/50,000/5,000. Munjal's position was precarious with everyone besides Rubenstein so tightly bunched, and he ended up going out in 10th after losing a big flip for most of his stack with to Nicholas Aranda's . Ryan Michael then fell to a brutal beat as his was outdrawn all in preflop by JC Chen's as the latter made a flush. Next out was Tom Theisen in eighth, followed by Chen in seventh when he tried one time too many to crack aces and couldn't catch Aranda with . Then, Rubenstein and Pupillo butted heads in another monster pot, starting with Rubenstein opening the cutoff and Pupillo calling on the button. A flop led to a bet of 500,000 and a shove of 1.7 million, with Rubenstein calling holding . Pupillo was in a bad spot with and he failed to find another four. 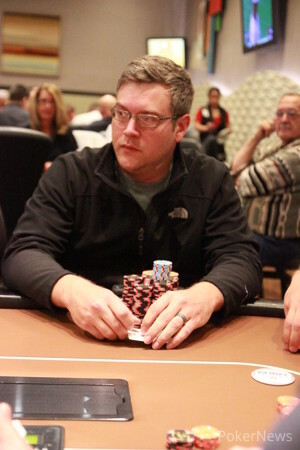 The MSPT team pro has been consistent about making final tables but hasn't been able to finish the deal, as he now has two fifths, two sixths, and a seventh in the past nine months. Zarlenga looked poised for yet another final table rampage as he busted Jeremy Grable in fifth with against , but a sick beat sent him out next. 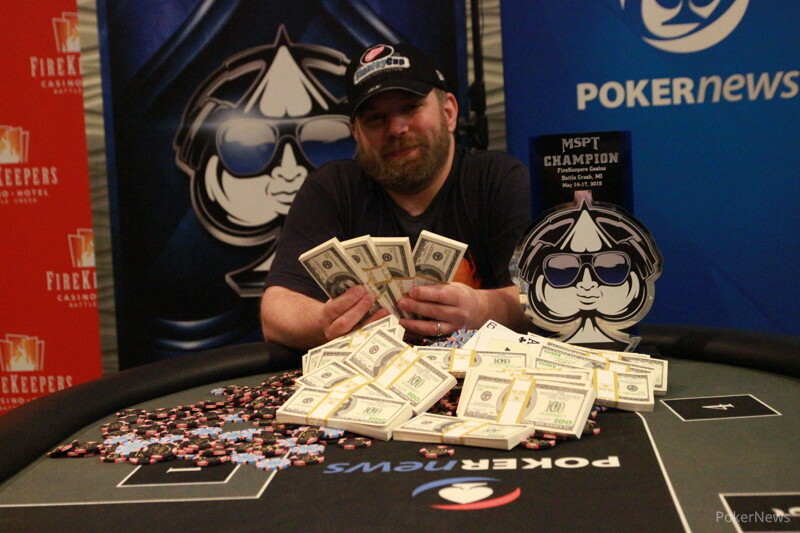 He got in 955,000 on a flop with , only for William Rogers to bink an ace on the river with . Nicholas Aranda couldn't hold with against the of Rubenstein, who found a jack on the river to go to heads-up play with more than two-thirds of the roughly 12 million chips in play at 50,000/100,000/10,000. Just a few hands later, a massive cooler developed in a limped pot, with both Rogers an Rubenstein checking a flop to see a turn. Rogers bet 150,000, Rubenstein raised to 450,000, Rogers came back with 1 million, and Rubenstein immediately shoved. Rogers couldn't get away from his and was outkicked by . The river brought a to five Rubenstein the title. Rogers took home more than $80,000 as a consolation prize. The MSPT grinders will now get some time off before the biggest event of the season, the $1 million guaranteed tournament at the Venetian in early June. In a limped pot, both players checked the flop before William Rogers fired out 150,000 on the turn. Mark Rubenstein raised to 450,000, and Rogers came back with 1 million. Rubenstein sat up in his chair and said he was all in, and Rogers called immediately. "Think you can pair the board for $60,000?" Rogers asked wryly, knowing his best chance was a chop. No such luck: the river came a . Mark Rubenstein opened to 275,000 in the small blind, and Nicholas Aranda jammed in the big for 1.5 million or so. Rubenstein called. "Come on, 60/40!" Aranda said. Everything went according to plan as the board rolled out , but Aranda didn't seem convinced he would win, pacing away nervously before the river. The dealer pulled the off the deck, a brutal death knell for Aranda. Nicholas Aranda raised to 225,000 on the button and got action from small blind William Rogers. Both checked the flop, leading to a board on the turn. Aranda bet 200,000 when checked to, and Rogers raised to 600,000. Aranda called, and Rogers shoved the river. "I'm thinking about calling you really light," Aranda said with a laugh. The total was 1.8 million or so, and he ultimately decided to fold. William Rogers raised to 250,000 on the button, and Mark Rubenstein made it 500,000 in the small blind. Rogers called and saw flop. Evidently, he liked it as he shoved in for 2.8 million effective over Rubenstein's bet of 1 million. Rubenstein called with and successfully faded Rogers' . William Rogers opened for 180,000 on the button, and Jason Zarlenga defended his big blind. The flop brought , and Zarlenga checked. Rogers bet 250,000, and Zarlenga moved all in for 955,000. Rogers thought briefly and called. William Rogers opened for 180,000 under the gun and got two calls. Jason Zarlenga led into him for 275,000 on the flop, and Rogers called, as did Mark Rubenstein on the button. The turn came a , and Zarlenga slowed down with a check. Rogers fired 765,000, and that was enough to convince Rubenstein and Zarlenga to fold. Big blind Jeremy Grable shoved all in for about 500,000 more over a Jason Zarlenga open, and Zarlenga tanked a few minutes and called. 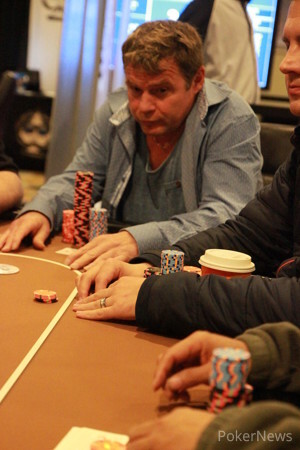 The flop paired Zarlenga's six, sending him from way behind to way ahead. Grable got up in dismay, but the turn gave him a straight draw. The river missed him though.